Shopping for natural just got easier (and less expensive) at Burt's Bees! Does Burt's Bees love Beauty Crazed readers? Why yes, they do! 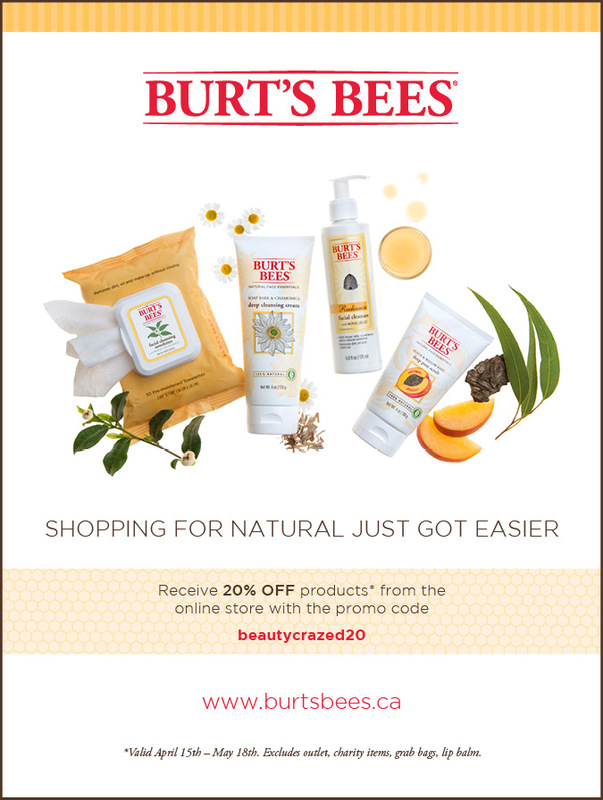 Proof: until May 18th - enjoy 20% off your online shopping at Burt's Bees when you use the code beautycrazed20 - how's that for love?! Go to www.burtsbees.ca to fill up your basket!